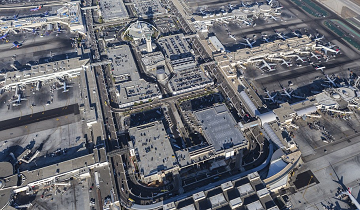 The new Tom Bradley International Terminal provides greater capacity to the west side of the existing facility and is one of the largest and most technologically advanced terminals in the country. 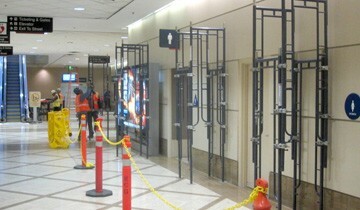 The terminal is considered to be part of the biggest public works project in the history of the City of Los Angeles. The $1.5 billion addition includes new gates to accommodate new-generation aircraft and a Great Hall for dining, retail shopping, and passenger amenities beyond passenger security screening. Overall, the new terminal is 180,000 square-feet with 18 roomier boarding gates and waiting areas. KKCS performed continuous electrical inspection services throughout the duration of construction. The scope of work included preparation of daily field reports, confirmation of compliance with OSHA/NFPA 70E standards, and research and application of project specifications, design guidelines, and seismic inspections.